We've prepared a guide so you can get your bearings before ordering. Please note this page is a work in progress. Over time, we refine features on our new machines, occasionally changing a major component or the way we build the machines. Where this has happened, we'll mention it below. As ever, if you've any questions about how it all works please get in touch. To get started let's take a look at a typical machine. 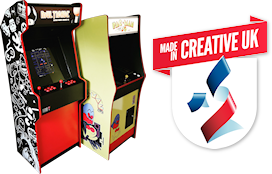 The machine to the right is one of our Mark Ten multi game units. This particular one was built for the acclaimed British sci-fi author, Karl Drinkwater in the summer of 2018. As of early 2019 it resides with him at his home in Scotland. 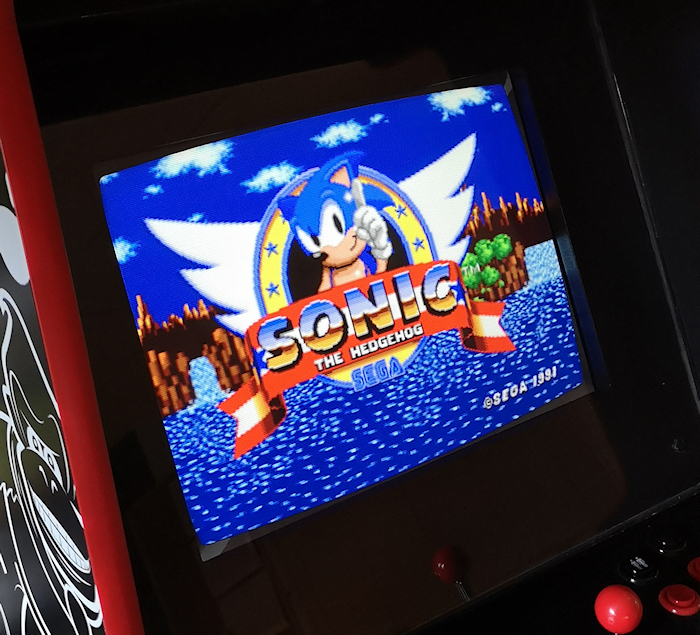 It's features our standard controls, game-system and has a painted body with marquee artwork at the top. All our different models work in the same way, with comparable controls and dimensions. When ordering various upgrades can be specified to different parts of the machine, regardles of the model. The dimensions of this machine are 1760mm High x 636mm Wide x 600mm Deep. 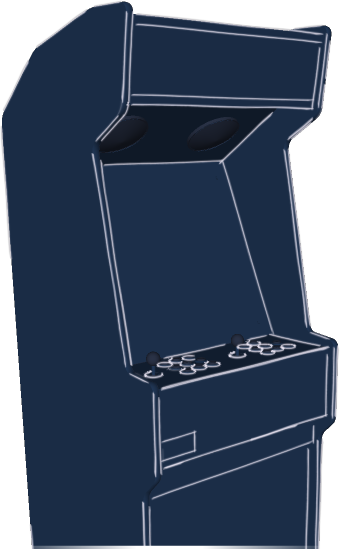 The flat control panel with the joysticks and buttons are just under 950mm from the bottom of the machines, on the ground. This makes them comfortable to use both standing up and sitting on a stool, which we recommend for extended periods of play. Some of our designs, like our Mark Eleven are slightly taller at 1820mm high. Where this is the case, the controls are still mounted at just under 950mm from the bottom. We've made the machines as simple to operate and play as possible. We will fit a power switch as an optional extra, which is normally mounted at the top rear of the machines. Normally though, to turn your machine on you simply plug it in at the mains using the power cable. We've made this approx. 3m long so an extra extension power lead isn't normally needed. 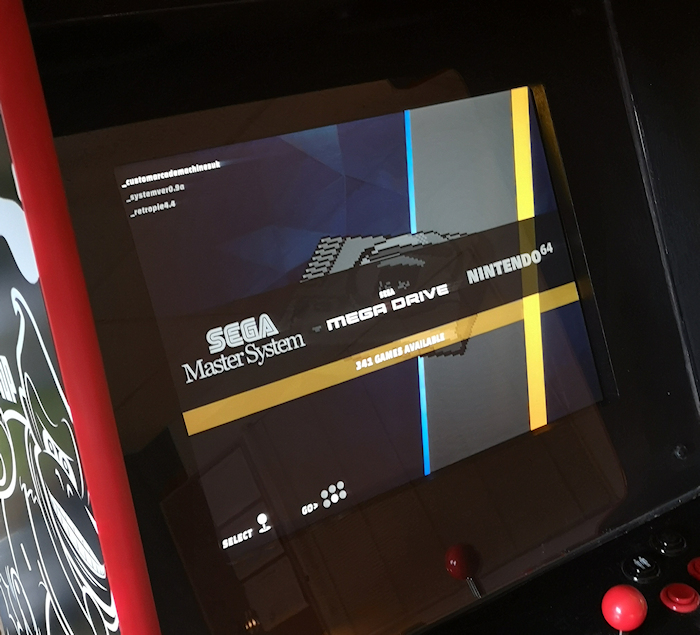 Once on, the machine will boot up in to the games menu. 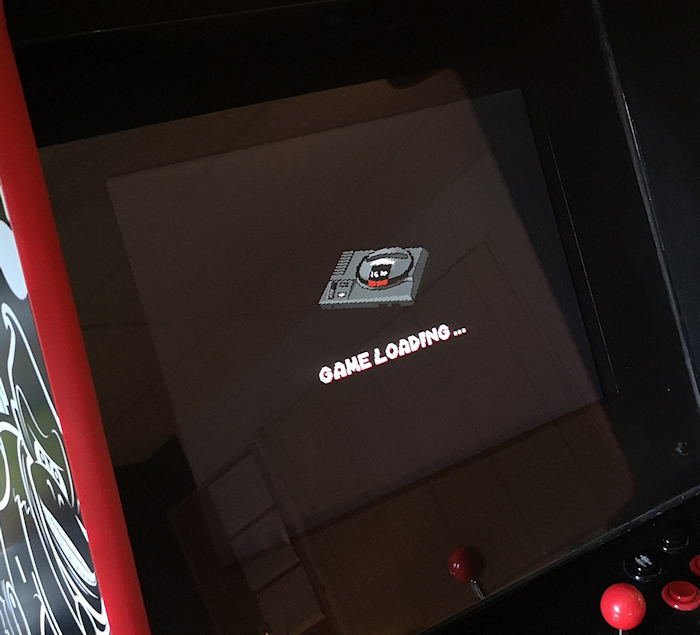 We use EmulationStation and the system boots from cold in about 25 seconds. Turning your machine off means cutting the power from the mains and they don't need to be "shut down", they can be turned off at any point. Games are listed alphabetically and grouped by system. Once a game is loaded, the game can be saved at any point with save states and there's even a fast forward function. 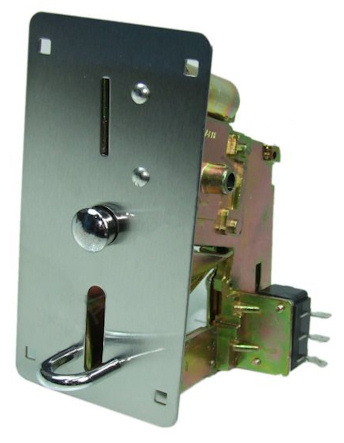 We offer commercial, coin-operated machines that are fitted with rugged, Calle™ mechanical coin mechanisms. 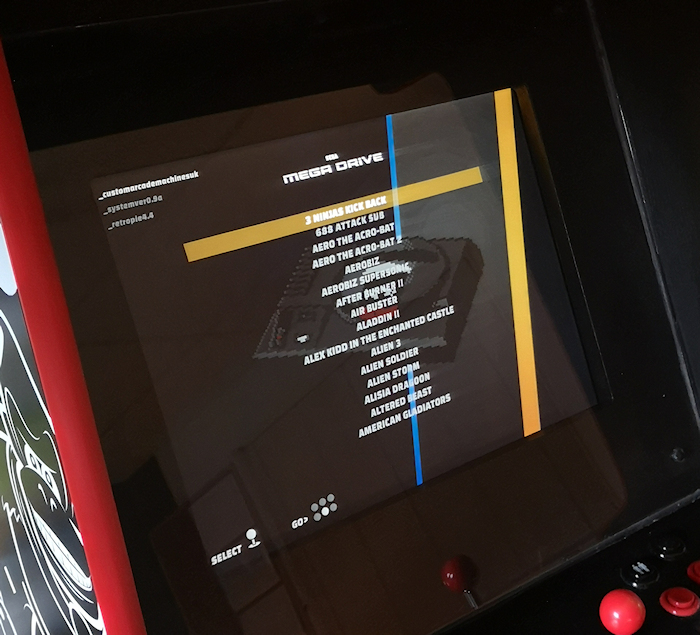 These units differ to our standard machines as they have a limited games system with 100 classic arcade games from the 70s, 80s and 90s and are fitted with a coin mechanism and lockable metal door, for retreiving the used coins. We've supplied pubs, clubs and rental businesses with these machines in London, Manchester, Leeds and even Dublin. Our machines are out and about all over the UK. For more inforamtion on our commercial machines, please Get In Touch.